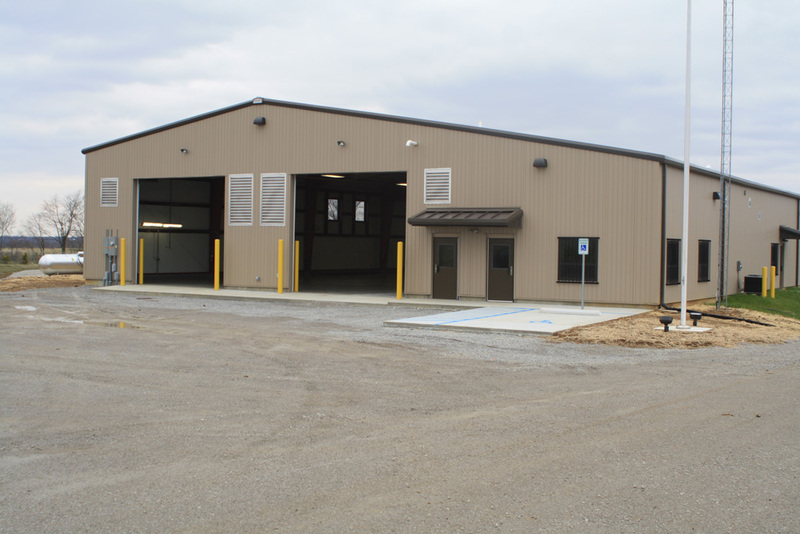 This highway maintenance facility is a metal building structure with a standing seam metal roof, and insulated metal wall panels. 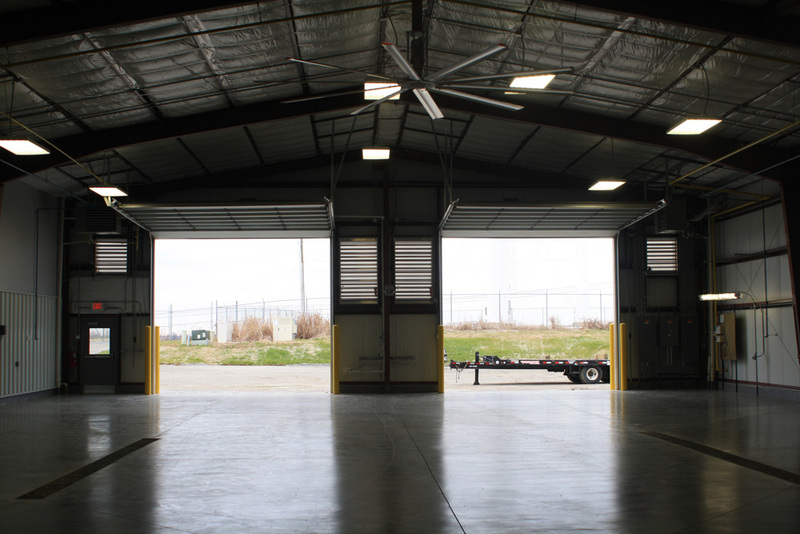 Four large overhead doors open into the maintenance garage bay featuring trench drains for grease interception, heavy exhaust fans, welding stations, and a storage and safety area. 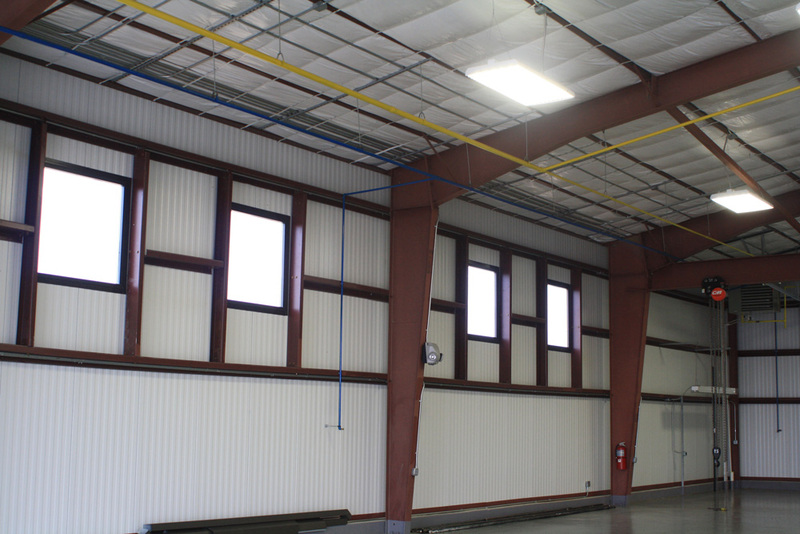 The other half of the maintenance facility features office areas for staff members, a large break room with a full kitchen, and restroom facilities.